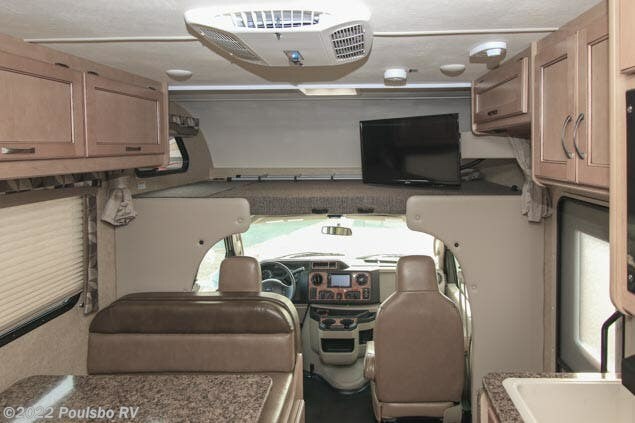 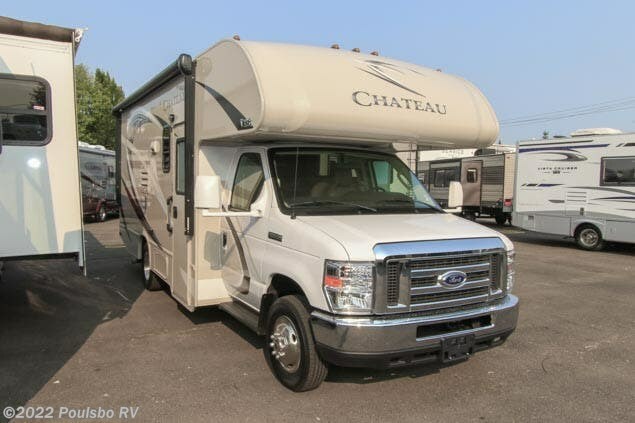 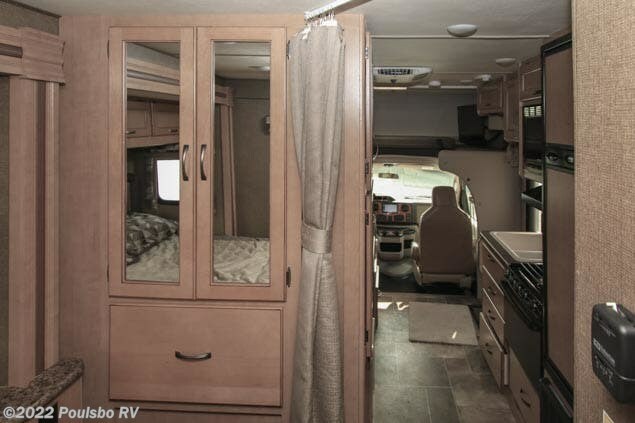 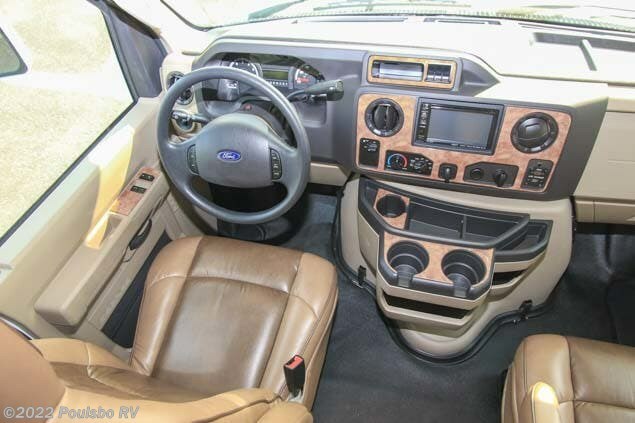 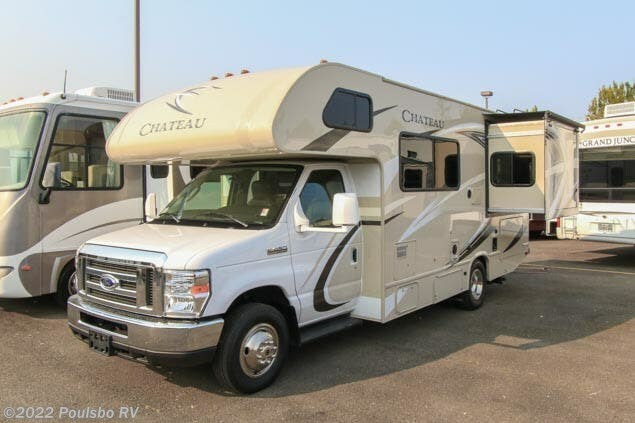 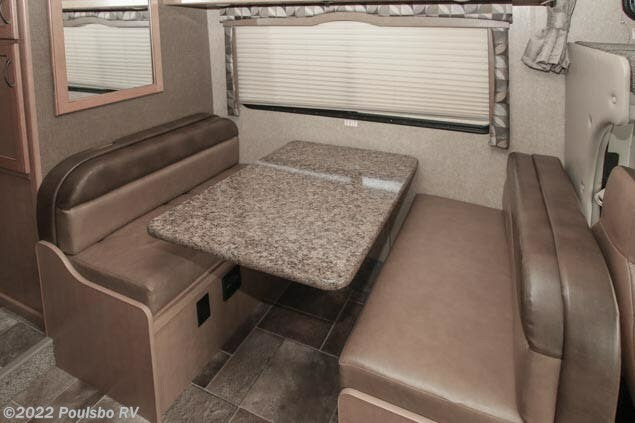 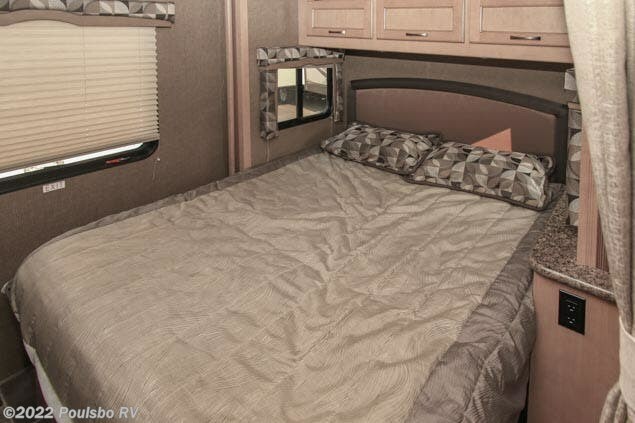 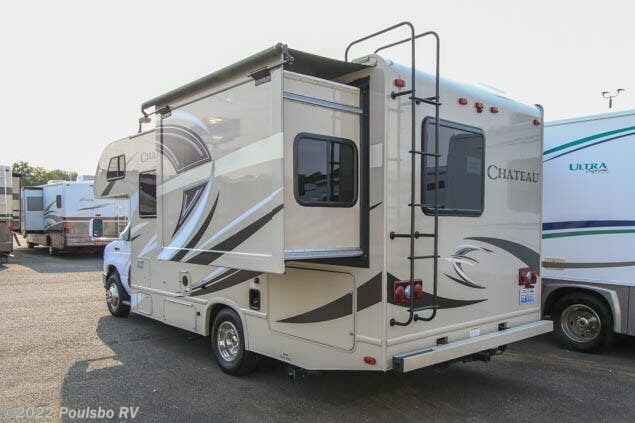 This used 2017 Fourwinds Chateau 22B has a great floor plan with 1 slide out, air conditioning, a bunk with HDTV above the cab, pleated day/nightshades and a booth dinette for dining and entertaining that also makes into additional sleeping quarters. 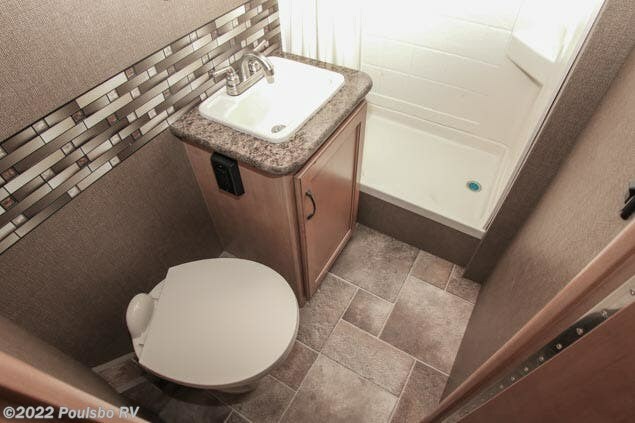 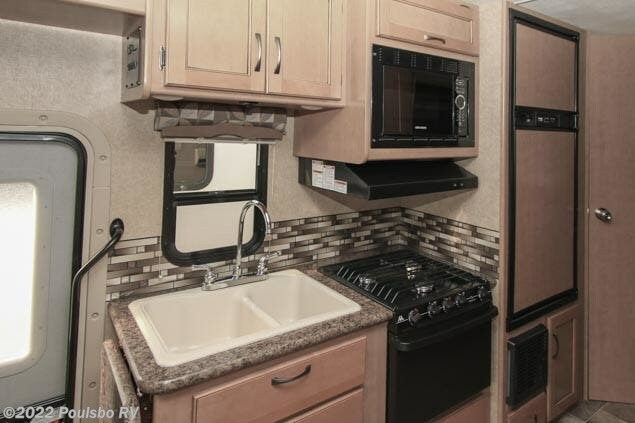 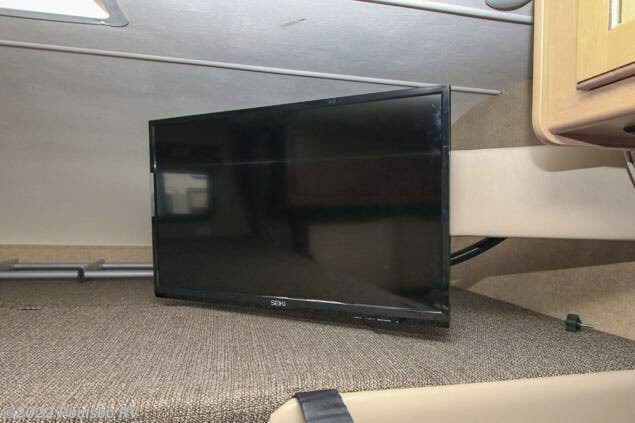 The kitchen in this RV comes equipped with a double bowl sink, counter top extension, 3 burner stove top with an oven below, microwave ,and a 2 door wood panel refrigerator. 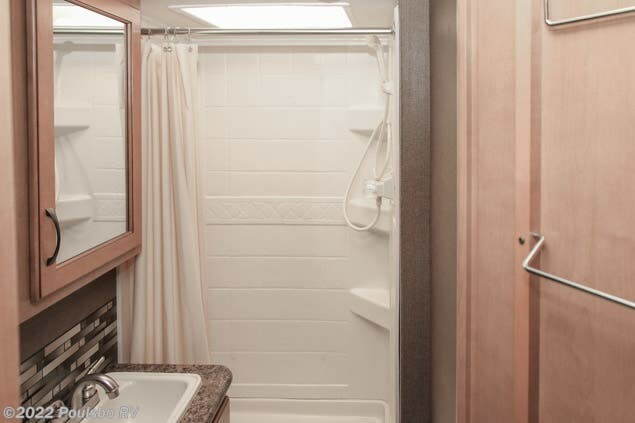 It has a private bathroom with an enclosed walk in shower. 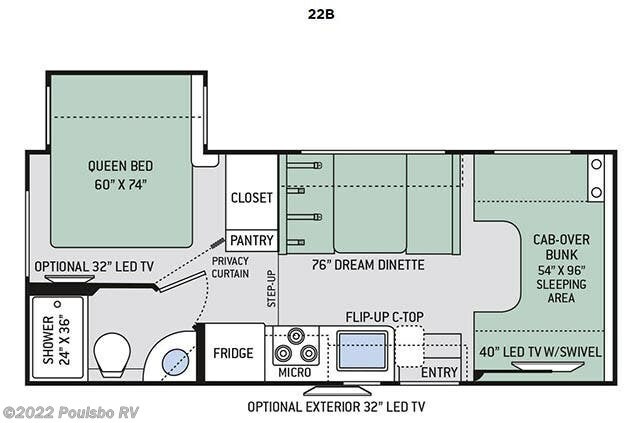 The rear bedroom has a Queen bed with nightstands, mirrored wardrobe, and overhead storage. 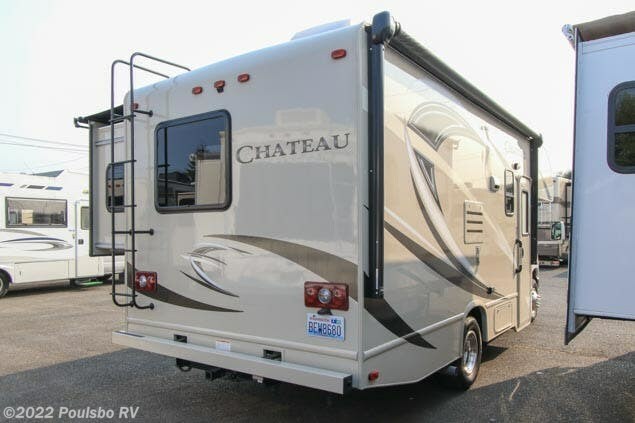 Heading back outside, you will find a generator, an awning, slide toppers and space for storage in the compartments!